As the ThingLink Education Community Manager, I am rounding up talented educators who are interested in joining our professional learning network of Expert Educators. This is a great opportunity to learn, share and grow within our professional learning community. Do you LOVE ThingLink? Are you a talented educator who inspires others? Are you a connected educator who is energized by the possibilities that exist for transforming teaching and learning with Thinglink? 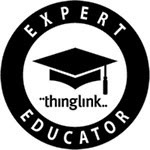 If so, we invite you to learn more about becoming a ThingLink Expert Educator. On Saturday November 22nd, Simple K 12 is hosting a free Google Day of Learning designed to provide educators with The Best Google Tips for Your Classroom. Participants can enjoy a series of webinars throughout the day, starting at 10 AM EDT. I will be hosting a session at 11AM EDT to help teachers Facilitate a Writing Workshop Using Google Docs. To encourage the ThingLink Community of Educators to have some fun and smash some apps this month, we are pleased to announce some AppSmash events. These events are designed to inspire our community of educators to explore and create. We hope you will join us as we explore the possibilities for ThingLink powered Apps Smashes. Explore this interactive image to learn more about these AppSmash events. 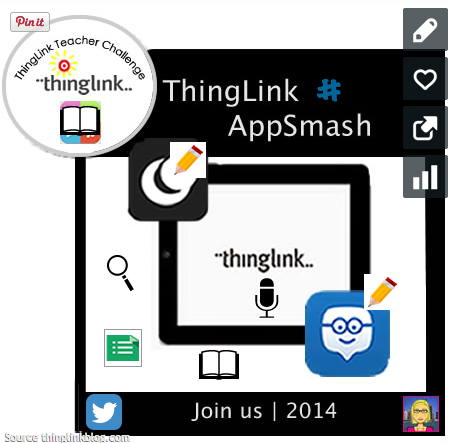 Today I am pleased announce the launch of the ThingLink App Smash Challenge! #TLAppSmash. This mini version of the ThingLink Teacher Challenge #TLChallenge is designed to inspire, build excitement, share ideas and learn. Most importantly, it is designed to fit within a busy teacher’s schedule during the month of November. The series of posts will be published on the ThingLink Blog. Share and submit your interactive image through a Google Form to be added to the ThingLink App Smash Challenge Channel. Explore the ThingLink App Smash Channel and Touch the interactive images that inspire you. Interactive images with the most Touches will be invited to share during our Interactive App Smash in early December. In this activity you will grab an iPad and explore ways to combine the best features of two or more of your favorite apps to help students create, publish and share content. 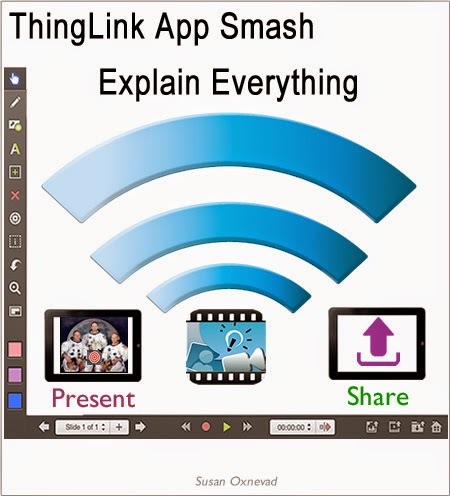 You will create an original App Smash image, or poster, then upload it to ThingLink. Use Rich-Media Tags to present your ideas. The iPad is a popular tool in classrooms today, but many apps are limited in functionality. As teachers become more comfortable with technology use they can begin to invent new ways to use the devices for learning. App Smashing allows us to combine the best features of our favorite apps to facilitate student driven learning experiences through creativity, sharing and publishing. This examples uses the built-in web browser and recording features in Explain Everything to create a narrated guided tour of a ThingLink interactive image. The resulting video was published on YouTube and embedded back on the ThingLink image through a Rich Media Tag. Explore this interactive image to learn more about this ThingLink App Smash. Create an original #AppSmash image poster. Tag the image with Rich Media tags, text, or links to present your ideas. Submit your image to the ThingLink App Smash Challenge. Explore the ThingLink App Smash Channel and touch your favorite App Smash entries throughout the month. 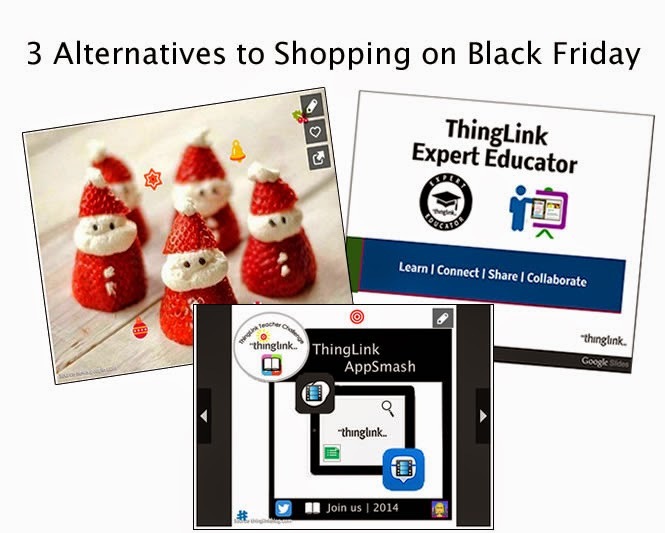 The examples in the channel below were created by ThingLink Expert Educators. Interactive images submitted for the App Smash Challenge will be added to this channel. Get inspired and connect!